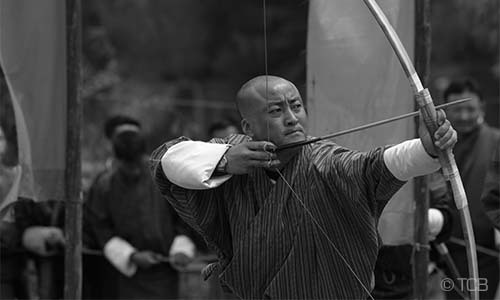 This amazing six-day Bhutan Classic Journey offers an extensive tour of western Bhutan, considered prominent given the nexus of these places with the country’s history. The scared fortresses on the ridge, snaking roads through lush greenery, the pristine natural sites, and other religious and cultural sites mostly leave a lasting impression on the visitors. Undisturbed or oblivious to the change of modernization, the western districts of Paro and Thimphu will take you through its timeless histories through their unique local culture and customs, pristine environment and visits to well-preserved heritages. Village hikes are also enriching where you can get the feel of the locals here. Further, our itinerary is precisely designed, incorporating creative innovation to give back the maximum return values. We cherish the time and experience of our visitors more than us. 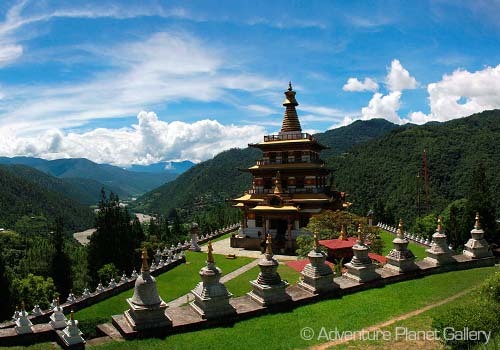 This brief six-day classic triangle adventure offers a refreshing holiday experience in the western districts of Paro, Thimphu and Punakha, mostly known for its fascinating landscapes, historical richness and glorious ancient heritages that exhibit the quintessence of seventeenth century landmarks. The trip is ideally designed for visitors who are looking for adventure or a perfect place to escape from the hustle and bustle of their daily lives, those wanting to lose themselves in an eternal blissful environment, and explore a little-known place like Bhutan. Nestled in the heavenly enclave of the eastern Himalayas, little is known about Bhutan. This small sovereign country remained in self-imposed isolation until the inception of modern development in the early 1960s. As such, the country has a flourishing culture and traditions, profound reverence to religion and a pristine natural environment. It’s also becoming known lately because of its unique development philosophy of Gross National Happiness. Rather than viewing materialistic growth alone as a sign of development, GNH encompasses spiritual wellbeing as a sign of development too. Getting to explore Bhutan’s cultural heritage sites such as fortresses, monasteries and temples whose origin dates back to as early as 7th century. Fascinating village hikes across rural settings and pristine natural environment. Experiencing hot-stone bath in a typical Bhutanese farmhouse and dining with a local family. Driving excursion on Bhutan’s winding roads through thick forest and mountain passes. 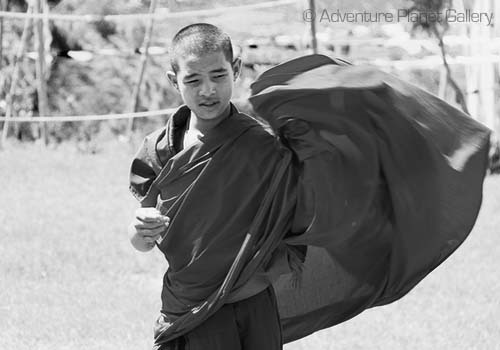 A pair of full sleeve shirts and pants to be worn while visiting the dzong, which houses the government offices. Arrive by the kingdom’s Druk Air or Tashi Air offering a breathtaking mountain flight and a rare view of scenic Himalayan Mountain including the world’s highest peak Mt. Everest. You will be received by your local tour guide at Paro international airport and drive you to a local restaurant for the arrival refreshment. Following, you will be driven to the majestic Ringpung Dzong nestled on a gentle hill above Nimizampa traditional bridge. Take a stroll through the main entrance of fort viewing massive wall paintings of four protective guardians, wheel of life and others depicting the essence of Buddhism. Couple of further steps, you will enter the spacious courtyard giving you a broad view of illustrious architecture and sights of young Buddhist monks luring your photography hunt. While inside the fortress you will be escorted to a blissful inner sanctum to offer prayers and conduct a brief meditation at your personal will for spiritual quest. On completion you will be treated gaument lunch at local restaurant in the small township of Paro. And after the lunch take a short excursion to the historic Drugyal valley. You will be joined by your guide for a brief hike to the ruin site of Drygyal Dzong, an emblem of victory over Tibetan war. Besides, drop by at Kichu locality and visit the oldest Buddhist temple built in sixth century by the legendary king of Tibet, Songtsen Gampo. Evening, take an hour-long drive excursion to Thimphu, the current capital of Bhutan following the bank of Paro River and villages en route. At leisure explore the main town of Thimphu. At early golden hour, you will be driven to the fascinating view points, Kuenslphodrang the site of the tallest bronze Buddha statue and the BBS tower at sangagygang to enjoy the freshness of early morning hour. Further, at sunrise these viewpoints present picturesque scene of Thimphu valley, a perfect moment for photography along with a hot cup of coffee and tea by your side. Following the breakfast, visit the National Memorial Chhorten built in 1974, Changangkha Lhakhang built in 13th century, National Institute of 13 Arts and Craft and Folk Heritage museum delivering diverse composition of experiences. Lunch will be served in a fine local dining, serving diverse local cuisines, which shall appeal your taste buds. Afternoon visit Dechenphodrang Monastery, Zilukha Nunner center, Tashichhoe Dzong viewpoint, Motithang Taking preserve, BBS tower and Kuenselphodrang Park. Evening visit the glorious Thimphu Dzong and explore the main shrine housing a massive statue of Lord Buddha. Also engage in photography adventure in the main courtyard of fort capturing the photogenic sights of Buddhist monks and lavish architecture. Freshen up in the hotel and stroll in central business district of Thimphu, soaking up the sights and sound of locals. 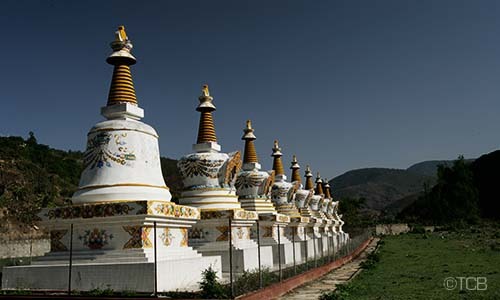 Depart for Punakha the erstwhile capital of Bhutan and a winter home of central monastic body and Chief Abbot. For photography adventure reason at Dochula pass, hotel check out will be done early in the morning. 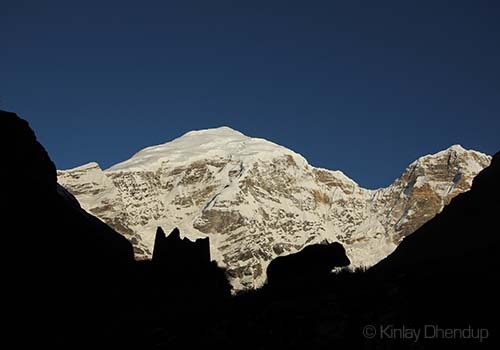 Dochula pass is located at 45-minute drive distant in the east direction. The pass is a scenic photography spot glorified by incredible 108 Druk Wangyal chhortens and breathtaking view of Hialayan mountain ranges. At the pass soak up in sunrise photography capturing diverse photogenic subjects that the place has in offer. Following photography session you will be served hot morning coffee and breakfast in a tourist cafeteria in the close proximity. After breakfast the drive will unwind through interlocking gorges, beautiful valleys and thick forest until you arrive the lower valley of Lobesa. 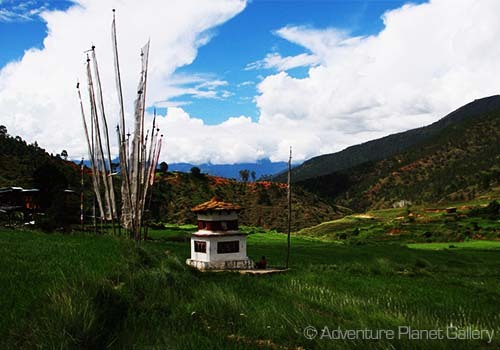 At lobesa take a short hike to a temple of fertility and enjoy taking landscape photographs of the valley. Lunch will be served in a local restaurant at the place and on completion proceed to Punakha and visit the most beautiful fortress, Punathang Dewai Phodrang located at the confluence of Phochu and Mochu. Visit the inner sanctum of the fort and soak up in architecture photography and interacting with young Buddhis monks in the spacious courtyard. Evening freshen up in the hotel and explore the central business district of Punakha at Khuruthang. Enjoy your pleasant night in a warm hospitality of Meriphuenseum resort. Depart for Kabesa, a serene valley and venture for an hour-long gentle hike to Khamsum Yuelay Namgyal Chhorten, the site famed for absolute peace and tranquility. The hike incorporates a unique feeling of wanting to live along forever. 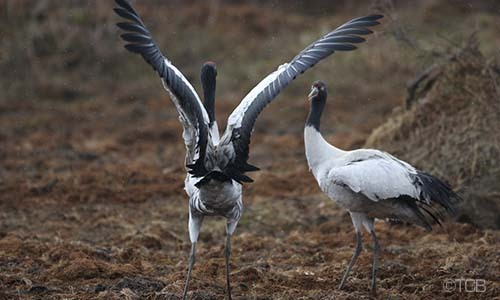 The melody of spring birds, the humming sound of meandering river, the sight of countryman in farmyard and incredibly eye gazing view of lush valleys are some of the total experiential offers. The four stored stupa houses different sects of religiously significant temples inside each story and it will be an opportunity for individual enthusiast driven by spiritual quest to accumulate merits by conducting a brief meditation and receiving blessing. Also this rare visit presents a chance to discover your curiosity about different tradition of Buddhism and its history. 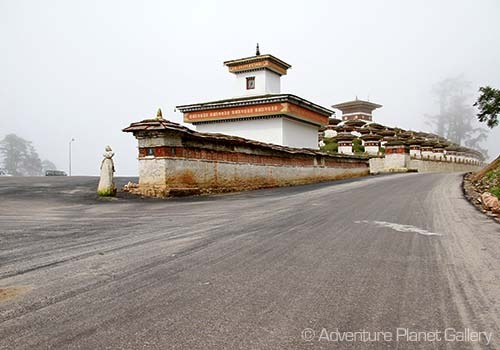 After hiking, drive back to Punakha and visit the main shrine inside the glorious Punakha Dzong. Typically, the fort is well known for its architecture glamour portraying the abode of Guru Rinpochhe, Zangdopelri. Further, the place has witness several historic events like coronation of first hereditary monarch, first parliament session, coronation of fifth king and royal wedding. After the lunch drive to Paro en route Thimphu for coffee break. And enjoy warm hospitality at hotel phuentshok Juney. 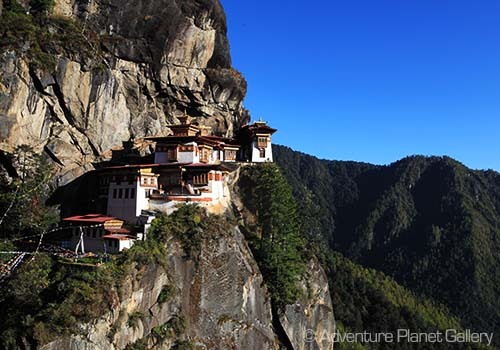 Hike to tiger nest is one of the best hikes in Paro valley. It is three-hour uphill hike through the mixed pine forest. Enjoy the arrival refreshment at tiger nest cafeteria followed by lunch on your return visit from the tiger nest. Evening soak up in hot stone bath to relinquish your physical fatigue in traditional farmhouse and enjoy the hospitality of combine family tradition with local family. Early break in the hotel and depart for Paro international airport to embark your flight for your return journey home. Your guide and driver will bid you farewell. One time cultural program for a group comprising 5 and above people.